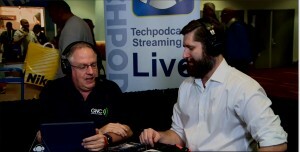 Todd Cochrane interviews Josh with Catalyst, a leading provider of waterproof cases for the iPhone and Apple Watch. The Catalyst line of waterproof iPhone covers have an IP-68 rating and every individual product is tested before the sale to a water depth of 16.4 feet. The Catalyst iPhone cases are also two meters drop proof. Catalyst also offers phone mounts that fit their waterproof iPhone cases. The phone mounts are priced at $45. The iPhone cases are priced at $74.99 for the iPhone 6S+, and $69.99 for the smaller iPhone 6S. The waterproof case for the Apple Watch is priced at $59.99. All Catalyst products are available now.